Once students have completed and submitted a test, you can begin to evaluate and score questions. True/false and multiple choice questions will be scored automatically, while short-answer questions must be scored manually. 1. From your teacher account, select Assessment >> Evaluation. Find the test and click on the title. 2. 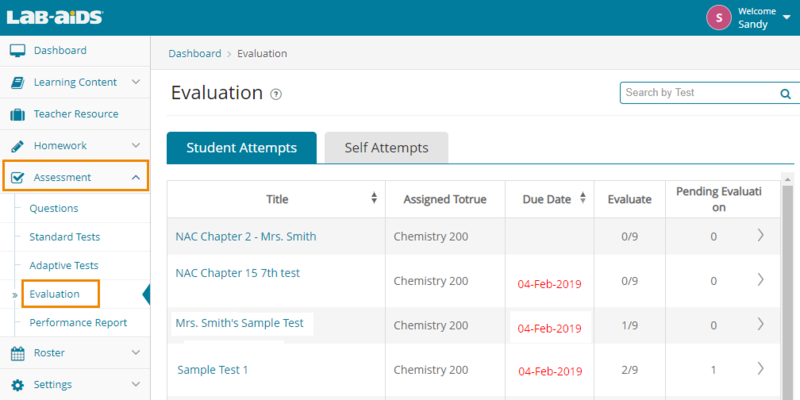 Click on Pending Evaluation, which will list all of the students (from all Classes and Groups) that have completed and submitted the pre test. Click the Evaluate button on the right-hand side to score that student’s responses. 3. Evaluate / score free response questions and any other questions that have not been automatically scored. 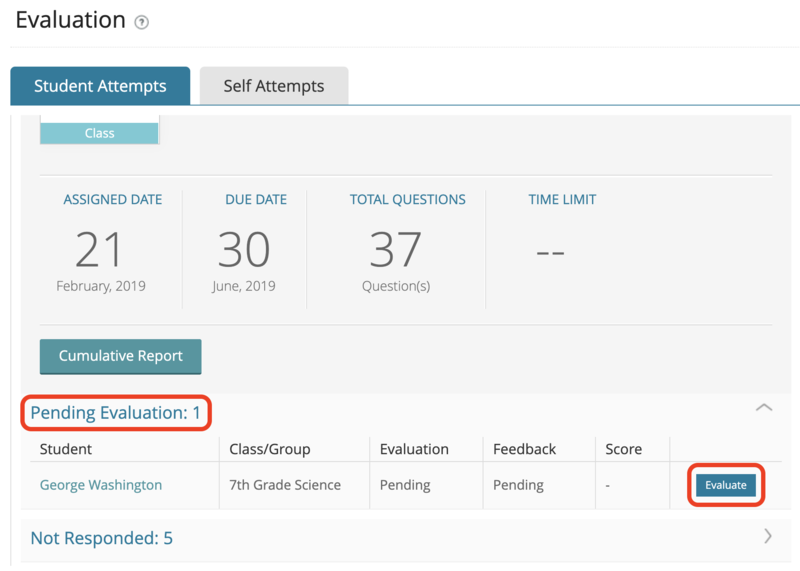 True/False and multiple choice questions will be automatically scored for you, but you can provide additional feedback in the Enter Feedback text box if desired. Scroll down to find the free response questions and score them. For more information on scoring items and assessment moderation, please see Section III: Assessment in the Teacher Resources. 4. Once all necessary questions have been scored and feedback has been provided (if necessary), select Submit to save this student’s score. This notifies the student of his/her score and feedback. Repeat for each student's responses until all students have been completed.